Ever wanted to own a beautiful watch-sized dive computer? Join our launch sweepstake for a chance to win this gorgeous Suunto D6i. Suunto, the world’s leading dive computer manufacturer and Diviac, the provider of the most sophisticated cloud-logbook on the market have just partnered. As of today, Suunto users can seamlessly connect and sync their DM5 dive logbook with their Diviac account through Suunto Movescount platform. And since Diviac is a cloud solution accessible both through Web and Mobile (iOS and Android), users can now log and access their dives online or offline from anywhere in the world at any time. To celebrate this partnership, Suunto and Diviac have setup this launch sweepstake with a beautiful Suunto D6i, worth $ 1,275.00 as a prize. Log your dives. Log your dives either manually, by syncing through Suunto Movescount service or by uploading your dive computer data directly into Diviac. The more tickets you collect, the more likely you are to win. All new and existing registered diviac.com users are eligible to participate. The sweepstake ends on July 31st 11.59PM CET! By participating in this sweepstake you agree to the competitions terms and conditions. Create an account or login now, and start sharing your dives for a chance to win this great dive computer. Suunto D6i is the watch-sized dive computer of choice for those who take their diving seriously. With a new tilt-compensated 3D digital compass and wireless air integration, it’s a great tool when other people rely on your diving skills. Trusted by professional divers, its good looks make it a great addition to your more civilian wardrobe too. Eligibility: The Win a Sunnto D6 Sweepstake (the “Sweepstake”) is open to all existing and new diviac.com registered users who are 16 years of age as of the date of entry. The sweepstakes is open to legal residents of all countries and is void where prohibited by law. Employees of Suunto (the “Sponsor”) and Diviac, their respective affiliates, subsidiaries, advertising and promotion agencies, suppliers and their immediate family members and/or those living in the same household of each are not eligible to participate in the Sweepstake. The Sweepstake is subject to all applicable federal, state and local laws and regulations. Void where prohibited. Sweepstakes Period: Entries will be accepted online starting on or about May, 28th 2015 and ending July 31st 2015. All online entries must be received by July 31st 2015 11:59PM CET. Prize: The winner will receive a Suunto D6i worth $ 1,275.00. Actual/appraised value may differ at time of prize award. The specifics of the prize shall be solely determined by the Sponsor. No cash or other prize substitution permitted except at Sponsor's discretion. The prize is nontransferable. Any and all prize related expenses, including without limitation any and all federal, state, and/or local taxes shall be the sole responsibility of the winner. No substitution of prize or transfer/assignment of prize to others or request for the cash equivalent by winners is permitted. Acceptance of prize constitutes permission for Diviac and Suunto to use the winner's name, likeness (portrait photo), and entry for purposes of advertising and trade without further compensation, unless prohibited by law. Winner selection and notification: The winner of the Sweepstake will be selected in a random drawing under the supervision of the Sponsor. The winner will be notified via email to the email address they entered in their Diviac’s account within five (5) days following the winner selection. Diviac shall have no liability for a winner's failure to receive notices due to winners' spam, junk e-mail or other security settings or for winners' provision of incorrect or otherwise non-functioning contact information. If the selected winner cannot be contacted, is ineligible, fails to claim the prize within 15 days from the time award notification was sent, or fails to timely return a completed and executed declaration and releases as required, prize may be forfeited and an alternate winner selected. Diviac AG, Forchstrasse 16, 8126 Zumikon, Switzerland. Requests must be received no later than August 31st 2015. 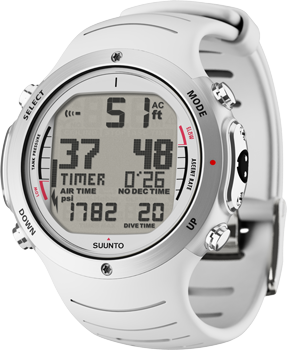 Sponsor: The Sponsor of the Sweepstakes is Suunto, Valimotie 7 FI-01510 Vantaa Finland.